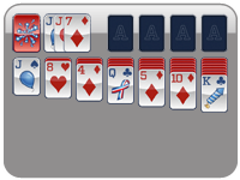 Cards out and hats off to you, America! 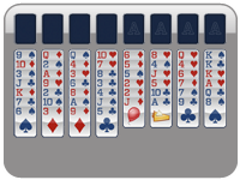 The game of solitaire originated in the USA around the time of the birth of our great country. 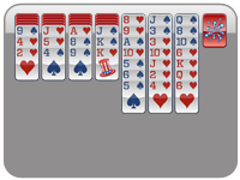 Festively salute our country by playing solitaire this Fourth of July. Put all of the cards into the four foundations slots. 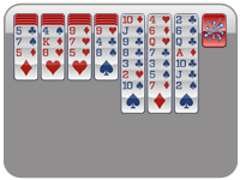 These cards must be of the same suit and in ascending order (Ace to King). 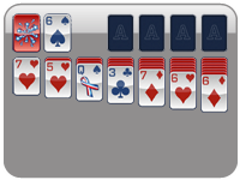 To get the cards ordered into the foundations, first stack the cards on the tableau in descending order (King to Ace). They must be alternating colors in the tableau. 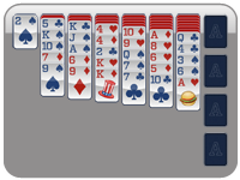 Fireworks will erupt and presidents will sing to congratulate you when you beat this solitaire game! 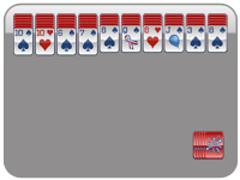 Alternate colored cards and stack them in the tableau in descending order. Put these cards into four foundations based on suit. You will win when you eliminate all tableau cards.